Now you don't need to stand in queues in front of recharge centres for your mobile recharges. Yes! You can recharge your mobile online with just one click, you can also find the best mobile recharge offers at one place. 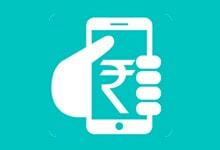 Choose the best recharge pack for all the operators like Idea, Docomo, Bsnl, Airtel, Vodafone and lot more. Low on balance? just wipe out your phone from your pocket and do free online mobile recharge by using these codes and enjoy your savings. Get the easy online recharge by sitting at home, you can go on talking and browse the internet with no worries. Internet technologies and the online world have been working hand in hand to make our everyday lives better and better! Other than being able to shop till you drop and that too at a great price, the online world has also made it very easy to go about your mobile recharges. This means, you no longer need to walk up to the mobile store and then stand amidst the crowd in a long queue and wait for your turn to get your recharge done. You don’t even have to waste time in anticipation whether the mobile store person will follow your recharge instructions on phone and get your recharge done within the time he committed. Today, with the help of online mobile recharge offers that are made available on HappySale you will have plenty of deals to select as well as activate. So keep browsing till you get to your favourite deal. With just one click of the mouse and activating a mobile recharge offer code you are able to get your recharge done within few minutes, by sitting within the comfort zone of your house or even when you are at office. The online deals allows you to select from some of the best and affordable mobile recharge packs that are provided by eminent brands like Idea, Vodafone, Docomo, Airtel, BSNL and the like. Some of the brands that have placed their mobile recharge cashback offers on HappySale include names like BigBasket, Paytm, Airtel Recharge and many more. So from the regular promotional offers to the super saver cash back deals as well as first time customer deals there’s plenty that you can browse and select based on your needs and price limitation. When it comes to coupons and promo codes, there’s no best choice than HappySale! This website comes with the best and latest mobile recharge offers today that has been verified, ensuring that the customers don’t have to face any hassle in activating the same. So get your deal and use it before it expires.